Thank you Male-M3dia for the, um, morphs and The AntFarm for the sled!!! And thank you DivabugDesigns for the toon props and 3djoji for the toy piano textures. And thank you April for all the work you've put in and for being you! Merry Christmas and Happy Holidays all! Thank you Daz and the PAs for all of the wonderful gifts and coupon. Such wonderful gifts - Thank you to all the wonderful PAs!!!!!! :-) Thank you AprilSH for doing this and thank you DAZ for the coupon and West for setting it all up. In other words THANK YOU EVERYONE! Merry Christmas too! Thanks so much for the gifts. Merry Christmas to all. Happy Holidays everybody!! Thanks for all the PAs who gave us these wonderful gifts and a special thanks to April for running the show. Thanks everyone for those nice gifts. My deepest thanks to April, the PAs, and DAZ for all the great gifts. I shall enjoy creating with them. Thanks April for all the hard work putting this up! Thanks everyone for the great renders! Merry Christmas and Happy Holidays everyone! Thank you to all artists who did and give away for Christmas. Wish you Merry Christmas!!! Thank you for all the wonderful gifts. I look forward to playing with them! Thank you April for all your time and effort on this. Merry Christmas everyone! Thanks to everyone involved for the wonderful prezzies! Thanks April for taking on the role of organising it. I hope that everyone has as great a Christmas as I did with lots of good food and good company! Thank you again April for the work you've done. 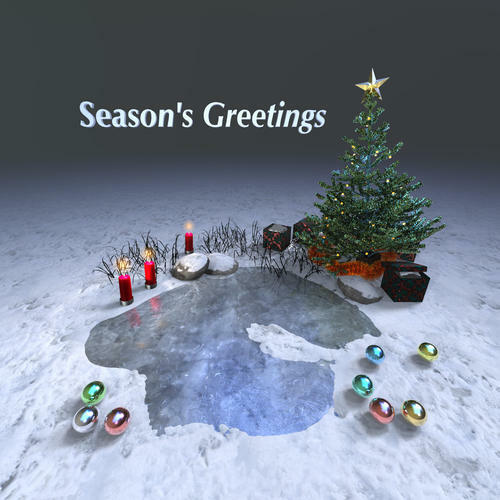 My best wishes for 2013 to all 3D artists. Thank you so much for all the gifts you've given us this year. I appreciate them all. thanks so much for all the sweet gifts! I haven't gotten around to downloading anything yet, but did want to come and say thank you. I truly appreciate everything you all do for us. Thanks to the PAs for all the nice gifts. I haven't had a chance to install them yet, but I'm looking forward to doing so. Merry Christmas, everyone, and Happy New Year! Thank every one of you again. I think this is one of the best years ever. Thanks to all the PAs for their wonderful gifts! Thanks to everyone who contributed to this. Everything was awesome as are all of you!! Have a wonderful Holiday Season!!!!! I want to thank all the PAs who donated their talent to make these gifts for us. I like to extent Christmas wishes to all the members of the DAZ forums. Thank you so much to all the PAs! You are truly generous! Merry Christmas and Happy Holidays to everyone. The site is finally working again for me!! Thanks so much, DivaBug for the adorable looking props and 3dJoji for the textures ! Thanks for the coupon, too - to Daz and the PAs does anyone know if it's ONLY for today or till New Year? Thank you to the PA's and DAZ for the gifts. I hope you all (including forum members) have a wonderful Christmas and a fantastic New Year.